Why is Feasting So Important to Jesus? We concluded our last post by noting the three important themes that come up in the parable of the wedding feast. This parable is about a wedding feast. But for Jesus, the wedding feast isn’t intended to symbolize a church service. Instead, the church service is supposed to symbolize a wedding feast! The Scriptures don’t show a single time when Jesus is inviting someone to go to the synagogue (the Jewish “church meeting” of his day) with him. 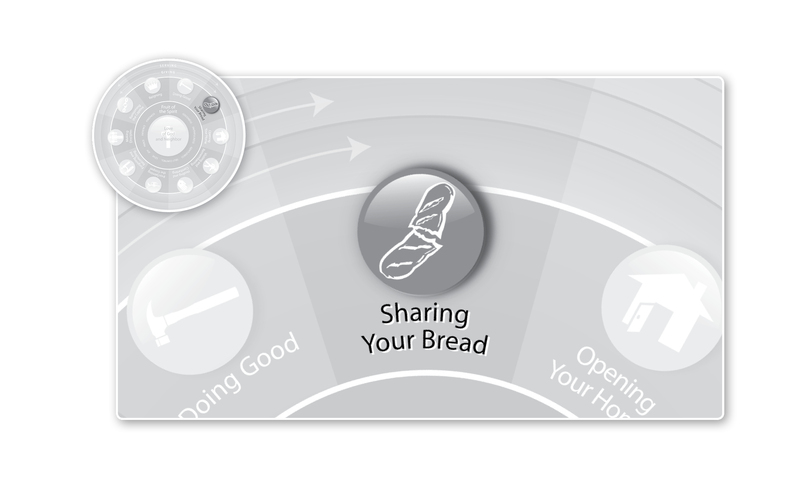 But the Scriptures do show that the most common invitation Jesus offers to people is to share bread with him. God loves to fellowship with his creation around the dinner table! “Especially in Jesus’ teaching, the renewed and fulfilled creation that is the kingdom of God takes the specific form of a feast. Jesus used the image of the feast more than any other to describe the reality of his kingdom” (Peter J. Leithart, Blessed are the Hungry, Moscow, ID: Canonpress, 2000, p. 162). “In short, this is the way the world ends: with neither bang nor whimper but with the laughter of the wedding feast” (Leithart, p. 163). People who don’t get along with each other have to reconcile. Have you ever tried to eat with someone that you don’t get along with? Either you won’t be able to eat together or you will begin to overcome your differences. People find a “true home” (Koenig, p. 43)—somewhere where they belong, fit in, have friends. Have you ever had to eat alone, like at school or in an airport restaurant? What would it have been like to have been called over to someone else’s table? People who have nothing become full through a sumptuous meal—one of the best they’ve ever had—all provided for by the host. People come to know God as a table companion and other humans as God’s guests, fellowshipping in his name and for his purpose. Reconciliation. Belonging. Provision. Fellowship with God and humanity. What else does the human being need? What could give a better “taste” of the new heavens and the new earth than a feast like the ones that Jesus provided? What does God want us to know about himself through this feast? This entry was posted in Uncategorized and tagged Feast, Fellowship, God, Jesus, Kingdom of God, Reconciliation, Revelation, Sharing Your Bread. Bookmark the permalink. 5 Responses to Why is Feasting So Important to Jesus? Jesus is a server at the first and the last feast in the NT and intends for us to follow that model. after samuel tells saul that he’ll be king, saul & his servant are invited with about 30 other people to samuel’s feast, and samuel seats saul at the head of the table. samuel gave saul an entire leg to eat, which had been kept for him since the feast was planned. it seems the God wants to heap honor upon His chosen king (in this case, saul). He’s generous. Great insight, James–sounds like you’ve been feasting on the Word!